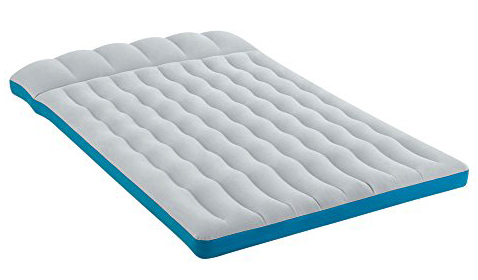 This airbed is perfectly suitable for a good night's sleep at camp. This offers an optimal, peaceful and restful sleeping comfort like a normal bed.The durable material is coated with a silky-soft velours on top, which offers exceptional comfort and is moreover very skin-friendly and easy to clean. The 2-ply bottom layer provides a thicker layer for extra strength while outdoors. Thanks to the double lock-valve, inflated air cannot escape while inflating. Inflatable with all off-the-shelf air pumps for airbeds. To buy this airbed or send an inquiry, fill this or phone/text 99451541.